Join ABYC and the ABYC Foundation for the inaugural train-the-trainer event at our headquarters in Annapolis, Maryland. The 3-day Educator Training Conference will feature specific topics to enhance the knowledge, delivery, and support of marine instructors across the country. Whether your school has a successful program, just got on board with the ABYC curriculum, or are looking into ways to develop a program to serve your local community, this event is for you! Who should attend: Educators, instructors, school administrators who are teaching or interested in teaching a marine technology course, and institutions considering a marine program. 2.5 days of educational content and resources! Early bird registration open until May 31! Join the Marine Trades Association of Maryland as they discuss the diverse workforce, state funding, integration of a robust curriculum, and other solutions that are making the future of boat service in the Chesapeake area a bit brighter. Rodney Bolton from Anne Arundel County Public Schools will discuss the changes in technical education and how the students' and parents’ expectations are dramatically different than just a short time ago. Are you serving the needs of the modern student? 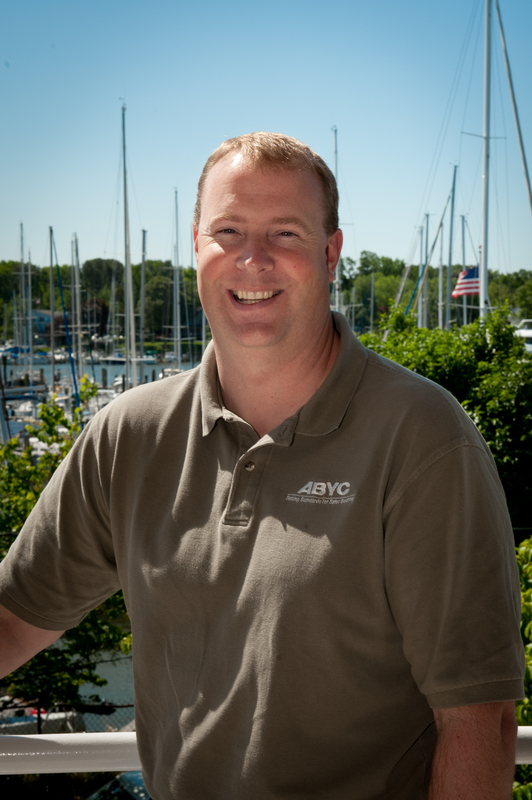 ABYC‘s Ed Sherman will discuss the creation and resources behind the Fundamentalsof Marine Service Technology curriculum. Understand what it was designed for, its benefits, and how it fits into the school system. Not every school has access to a marine technology instructor with the vast experience that includes all aspects of what the industry demands. Tour the resources that are available to help instructors effectively teach the content. Learn from experienced instructors as they walk through several examples of training aids that bring the elements in the textbook to life. Several schools will share their favorites and instructors will facilitate some hands-on work . A panel discussion of experienced marine service technology instructors will relay their best practices when it comes to shop setup, tools, supplies and safety around the lab area. Longtime educator and ABYC Education Vice President Ed Sherman offers his philosophy and instruction on why each and every element of ABYC's "Fundamentals of Marine Service Technology" textbook has a place in your classroom and ultimately in the workforce. Look at the latest in technical resources that help instructor connect with students, keeping them engaged on topics that otherwise may be a bit tedious to teach. 1. How to get involved – How can your school get an outboard and how does the program work? 2. Evinrude’s Outboard Essentials – The basic curriculum that results in an entry level certificate from Evinrude. 3. Hands on – Evinrude’s lead instructor will walk through the basics that instructors need to know and how to turn this outboard donation into the ultimate training aid. The instructor will be performing these tasks on the Evinrude G2 outboard in the class, providing practical experience with lots of time for Q&A. Industry advisors, we all need them to help us along the way when it comes to relationships within the community, job opportunities, and much needed advice. How do you ensure that this group is effective and does not sidetrack your program? How do you get what you need but not what you don’t, all while maintaining these vital relationships? Industry veterans will arm you with the information you need to know to sell your program to both students and parents as a long-term employment opportunity that can combine love of boats and the water with a well-paying, satisfying career. Executive Director Margaret Podlich will discuss the available resources from the ABYC Foundation and share plans for the development of future programs that will benefit your institutions, students, local businesses and ultimately contribute to keeping people safe on the water. Our presenters will be available for a robust Q&A session on all topics of interest, bring your best questions, and we’ll provide the answers! Meet and network with other attendees for a no-host 6PM happy hour at the Kitchen on West Street (at hotel). The sunset over Annapolis skyline is gorgeous. After a long day of learning, we will get out on the water to see the local sights! You will be enjoying the views from ABYC's headquarters all week. Wednesday we will put the deck overlooking the Chesapeake Bay to use and celebrate the the past few days. Margaret Watkins has been at Under Armour for 10 years. As senior counsel, she focuses almost exclusively on product safety and compliance. Before her move to Baltimore, she was a member of the SEC Enforcement Division’s Financial Fraud Task Force. She also spent 5 years in private practice. Meg has degrees from Johns Hopkins, Harvard, and Georgetown and clerked on the Federal District Court for the District of Columbia. She has appeared on “What keeps you at night?” panels at the Sports & Fitness Industry Association’s Litigation, Regulatory & Risk Management Summit. Includes breakfasts and lunches, coffee, and evening networking events! The Marine Service Technology: Educator Training Conference is a train-the-trainer event that will feature specific topics to enhance the knowledge, delivery, and support of marine instructors across the country.